ALWAYS ARRIVE AT LEAST ONE HOUR PRIOR TO YOUR FIRST DANCE! READY TO DANCE. Arriving an hour an a half earlier is even better! Arriving with plenty of time allows you/your dancer to feel less stress, do any costume or makeup adjustments. It also allows the dancer to get into the correct head space for competing, and the team can warm up, practice, prep together as a group. Additionally, it makes it so your teacher/director doesn’t get stressed out worrying about where you are! WHAT TO BRING: ORGANIZATION IS KEY! – More heavy duty hair products than you think you could ever use – gel, spray, etc. Just say NO to whiskies! Putting your hair in your ponytail or bun when it’s wet helps if you have unruly hair! – All sizes and types of bobby pins – lots. Bobby pins should match your hat if you are pinning a hat on. – Make up remover wipes. – Nail Polish Remover – NO PAINTED FINGERNAILS OR TOENAILS on the dancers, please! – Healthy snacks (enough to share is always good!) – and please steer clear of messy foods! – Be kind and supportive of all dancers – backstage, in the audience, etc. – DO NOT SPEAK ILL OF ANYONE – you never know who’s mother/father/friend, etc is within earshot. PARENTS…this especially applies to you as an audience member. – Do your best to represent GSSD with pride and humility. – Make sure you always stretch and practice before you go on. – Help your fellow teammates – with fast changes, hair, etc. 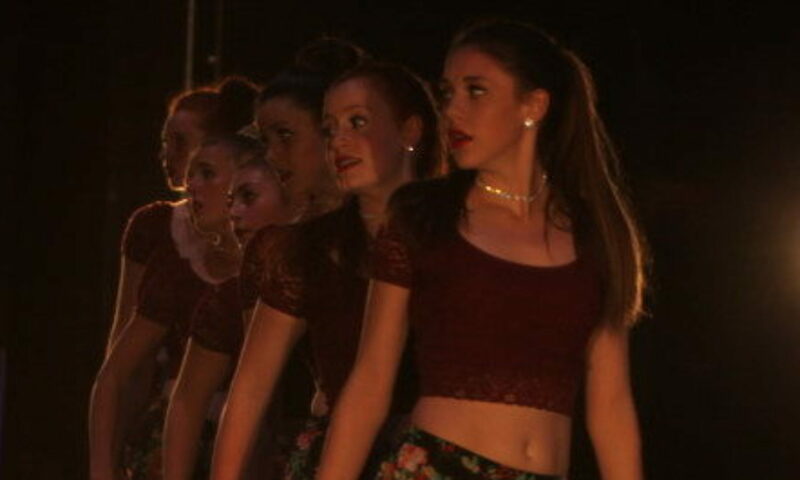 – Dance fiercely, from your heart and with confidence and enthusiasm. When you walk out onto that stage, OWN IT! – Don’t let yourself get distracted – focus! – Have a BLAST! You’ve worked hard for this – give it all you’ve got!